5 Is This a Grand Challenge? 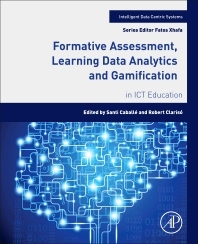 Formative Assessment, Learning Data Analytics and Gamification: An ICT Education discusses the challenges associated with assessing student progress given the explosion of e-learning environments, such as MOOCs and online courses that incorporate activities such as design and modeling. This book shows educators how to effectively garner intelligent data from online educational environments that combine assessment and gamification. This data, when used effectively, can have a positive impact on learning environments and be used for building learner profiles, community building, and as a tactic to create a collaborative team. Using numerous illustrative examples and theoretical and practical results, leading international experts discuss application of automatic techniques for e-assessment of learning activities, methods to collect, analyze, and correctly visualize learning data in educational environments, applications, benefits and challenges of using gamification techniques in academic contexts, and solutions and strategies for increasing student participation and performance. Researchers and professionals in the educational domain interested in e-learning assessment and data analytics particularly in MOOCs. Dr. Santi Caballé is an Associate Professor of Computer Science at the Open University of Catalonia (UOC). His research interests are Software Engineering and Web-applications for collaborative Work. He has presented at over 100 well-established international conferences and workshops such as the 6th IEEE International Conference on Intelligent Networking and Collaborative Systems and the Fourth International Workshop on Adaptive Learning via Interactive, Collaborative and Emotional Approaches (ALICE 2014) As part of his work in collaborative learning and computational intelligence he has edited nine books and dozens of journal articles. Dr. Robert Clarisó is an Associate Professor of IT, Multimedia and Telecommunications Department at the Open University of Catalonia (UOC). His current research interests include research interests include Formal Methods, Software Engineering and Tools for E-Learning. He currently serves as Academic Director of Computing Engineering .